Designed and manufactured in South Africa, the home of safari, Bushtec Adventure products are robust and designed to withstand the elements, including 50+mph winds. Made from military grade Ripstop canvas combined with functional design features, Bushtec Adventure products are designed to last more than 15 years. To ensure comfort, functional design features encourage air flow while the tent’s built-in PVC flooring keeps all water out. Being UV and rot resistant means minimal fading and maximum longevity. Since the tents and gazebos are modular, they can be used at home and while camping. “Our quality guarantee starts at the factory. Not only are we ISO 9001 and ISO 14001 certified, Bushtec Adventure is the first tent manufacturer to implement the Eton System (Sweden). Ensuring all our products are built to last and are true Four Season tents and gazebos,” adds Flaks. With US headquarters located in Atlanta, Georgia, look out for Bushtec Adventure Tents and Gazebos both online and in stores from mid-2016. 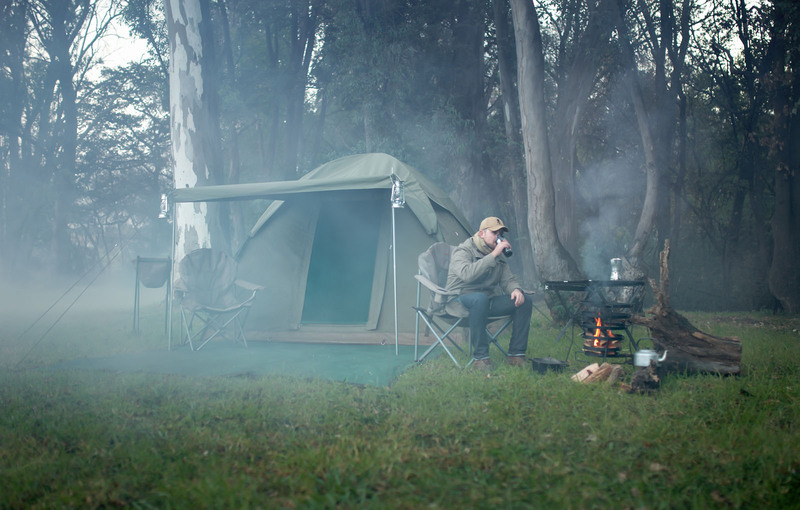 Located in the foothills of the majestic Drakensburg Mountains in Kwazulu Natal, South Africa, Bushtec Adventure has been designing and manufacturing premium quality canvas tents and gazebos for over 30 years. What makes Bushtec Adventure products so unique?